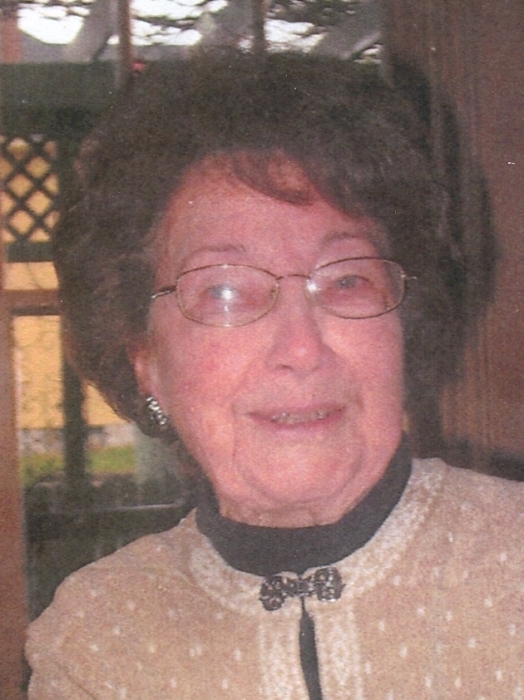 Obituary for Mary Louise Vance | Howard L. Sipes Funeral Home Inc.
Mary "Louise" Vance, 98, of Harrisonville, PA, passed away Wednesday, April 3rd, at her residence. Louise was born in Sipes Mill, PA on March 31, 1921, a daughter of the late Della Pearl (Schetromf) and Reuben Clyde Hann. She was the widow of Bill L. Vance, whom she married on February 7, 1940. He preceded her in death on October 14, 1991. She was a member of Sideling Hill Christian Church Needmore, PA . Louise worked at Sagner in McConnellsburg, PA for twenty years and also helped her late husband on the family farm for forty one years. She loved working in her flower garden, Louise was no stranger to hard work. Her family will always remember her by what she told them on a daily basis "No matter how big or how small, I always try to accomplish something everyday, even if it kills me." Louise is survived by two sons Ronald LeRoy Vance of Harrisonville, PA and Perry Anthony (husband of Sherry) Vance of Harrisonville, PA, She is also survived by a brother Reuben David Hann of Harrisonville, PA, eleven grandchildren, ten great grandchildren and three great great grandchildren. She was preceded in death by a daughter Beverly Louise Roman, brothers Herbert Clyde Hann, Harold Willard Hann, Parker Hann, sister Dorothy Mellott Hann and a grandson Gary Lee Vance. Funeral services will be held at the Sideling HIll Christian Church, Needmore, PA, at 11:00 AM on Saturday, April 6th, 2019, with Pastor William Swope officiating. There will be one hour of visitation held prior to the service on Saturday, at the church. Interment at Sideling Hill Christian Church Cemetery Needmore, PA.
Online condolences may be expressed at www.howardlsipes.com.